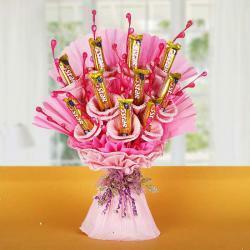 Product Consists: Glass Vase Arrangement of 12 Pink Roses along with 10 Dairy Milk Chocolates (Weight: 12.5 Gm Each). When gifts are paired with flowers and a smiling countenance, their value increases triple-fold! 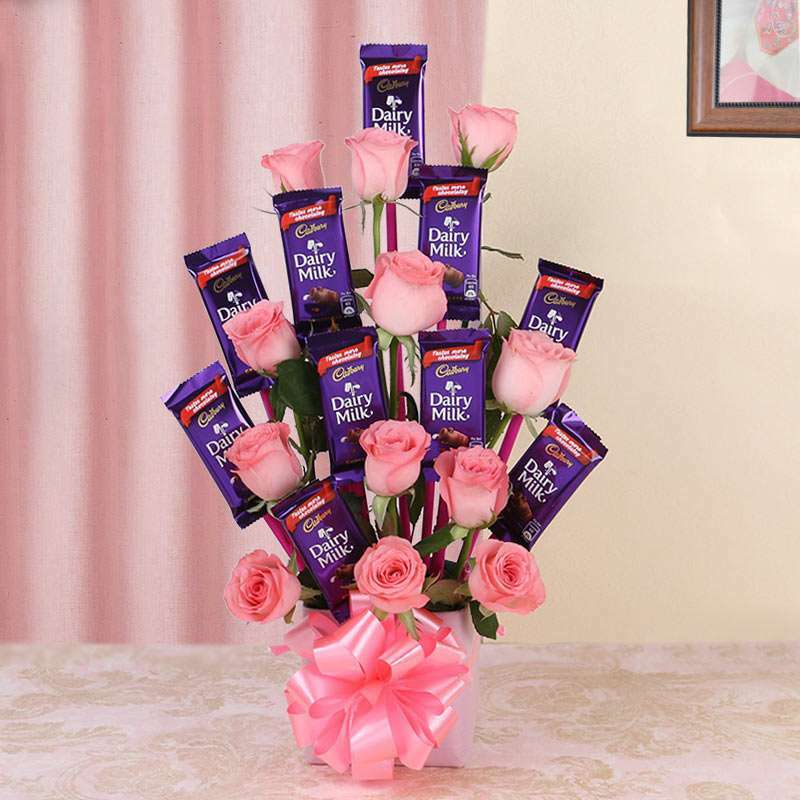 This amazing gift combo contains Pink roses and Cadbury Dairy Milk chocolates arranged in Glass vase. It will make for a lovely gift for your loved ones. Chocolates and Flowers are loved by all. That is why we have created this special arrangement that has 12 Pink Roses and 10 Dairy Milk Chocolates in a Glass Vase. Enjoy every special moment in your life with roses and delicious Dairy Milk. Send this amazing chocolate hamper to your loved ones. Product Includes: Glass Vase Arrangement of 12 Pink Roses and 10 Dairy Milk Chocolates (Weight: 12.5 Gm Each).